A contouring kit is a great tool that allows you to define, enhance, and sculpt the structure of different parts of your body. With the right contour kit, you can even change into someone new entirely. Hence, everyone needs a good contour kit every now and then. It’s not about hiding an imperfection or being unsatisfied with your appearance. It’s just that even the smallest modification can make you feel infinitely more beautiful, so why not? Now, if you’re someone who’s milky-white pale, it can be difficult to find a kit. You would want something that offers neutral to cool-toned contouring options; you wouldn’t want a kit that’s too warm or orange (Source). Likewise, when choosing your contour kit, the shade is important. It has to match your skin as much as possible. Additionally, a good kit should also be affordable. 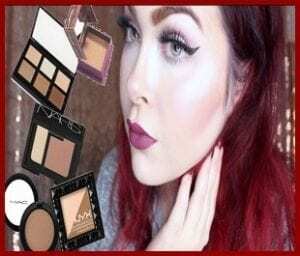 To make your search easier, here’s a list of the top five contour kits for pale skin tones. Kat Von D’s contouring kit is completely out of this world. People simply love it. It offers a range of lighter and darker shades that are absolutely vital for the contouring process. 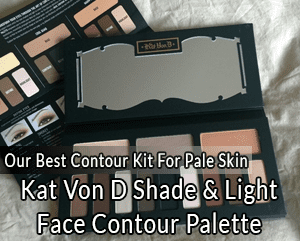 Notably, the Kat Von D kit offers different shades all in one set. This makes it so much easier to blend your contour in a gradually fading tone, from light to dark. Being able to blend different shades into your contour can make all the difference. Usually, using only one shade won’t give you the results you’re looking for; people often complain using only one tone makes the contour look “stripy”. Furthermore, this kit also has a yellow tone, which helps you completely neutralize redness. Meanwhile, its apricot tone is it for brightening. On the other hand, the powder itself is finely-milled to the highest extent. It seamlessly applies right on to your body. Hence, layer it, build it up, and do whatever you want with it. It won’t get cakey. 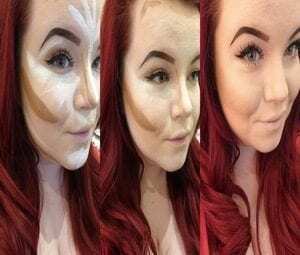 If you’re someone who’s a huge fan of natural contouring, then look no further. 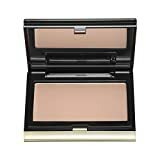 This kit by Kevyn Aucoin is the perfect contouring kit for you. Its versatility, quality, and beauty justify its price. It offers you three different shades to choose from: light, medium, and dark. Of course, having pale skin means you’ll go for the lighter contour kit. Notably, the makeup is completely ashy, light or dark shade. Hence, no matter how much you put on, it’ll always look natural. Moreover, this set leaves you with zero orange strips in sight. It’s the best kit for those who want a natural finish. Additionally, it is ultra-slim, compact, and fits in the palm of your hand. It won’t take up much space in your bag, so you can have it with you wherever you go. Are you looking for something to contour around the nose? Perhaps something to build up those cheekbones and jawline? This kit by MAC is perfect for you. As you might have guessed from the name, this contour kit comes in the form of a crayon: a super slim, super efficient crayon. MAC offers 16 kinds of shades, so ensure you get the shade that best suits your level of paleness. Notably, this makeup also serves multiple purposes. It can work as an eyeshadow, a bronzer, or a cream contour. It is also made from a highly pigmented formula, but don’t let that scare you: It’s pigmented, but it’s a silky cream formula. You’ll be able to apply and blend it out easily. Who says a good kit has to cost a fortune to get the job done? This humble kit by Sleek Cream can fulfill all your contouring desires and at an affordable price. This set can rival even the most luxurious, expensive kits on the market. It contains two highlighting and four contouring shades that work together perfectly when contouring. Additionally, it offers three different tones to choose from, so it’ll suit all skin tones. Moreover, it is silky and barely sticky. Hence, you can layer it as much as you like without any caking or stickiness. You can also blend, layer, and smooth out different shades; it allows you to soften or enhance any features on your body. That includes your jawline, nose, and cheekbones. Keep in mind that the key here is to blend, blend, and blend for a flawless finish. Likewise, if you want a flawless application, you might want to use an angled contour brush. It promises a fade-proof finish and it’ll make the whole contouring process easier for you. 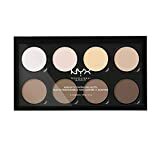 Whether you’re new to the world of makeup or you’re a seasoned makeup artist, you’ve probably heard of NYX. It’s one of the most popular makeup brands around the world. Its products have great quality, amazing texture, and affordable prices. This kit comes with all kinds of different shades and tones for all of your contouring needs. With the NYX Pro Palette, you can easily enhance features like your jawline, cheekbones, and nose. The Highlight & Contour Cream Pro Palette comes with eight pigmented shades that you’ll simply fall in love with. The same goes for its soft and easily blendable cream formula. Notably, its pans are removable and refillable. You won’t have to buy a new one when you run out. You can just refill it and it’ll cost you much less. Alongside that, since you can take the palette out, that makes it customizable according to your preferences. Now, when using this palette, here’s a quick tip: after applying your foundation, add on the deeper contouring powders to areas you want to shade and define. After that, add the lighter highlighting colors to areas you want to emphasize. Contouring and highlighting aren’t just a craze that’s going to grow old with time. They’ve become absolute necessities of everyday life. They’re a vital part of makeup application, so it makes sense that you’d want to get a good contour kit. However, if you’re someone who has very pale skin, it can be difficult to find a good kit. There are a lot of factors to consider. Here are some of the things you should think about when buying your contour kit. Right off the bat, the first thing you should think of when buying a contour kit is the base. Generally speaking, most contour kits are either powder or cream-based. Both are great and it really depends on your personal preference. However, most people would recommend going with a powder set because they give you the most control. If you’re not an experienced makeup artist or haven’t been contouring for long, cream kits might be a bit difficult for you. Additionally, powders will give you more of a matte finish, while creams give more of a dewy look. Moreover, if you have oily type skin, then you’re better off sticking to a powder-based contour kit which will better define you. Cream-based ones would be a bad choice. On the other hand, for those with dry skin, going for cream-based kits is better. That’s because powder ones can accentuate your dry skin and fine lines. Thus, a lightweight, dewy, and cream-based kit will both hydrate and contour. However, contouring is an art and no strict rule exists. It doesn’t have to be only powder or cream. You can mix things up. Having pale skin can make contouring difficult. You need a very light contour kit to get the job done. Hence, test out several colors on your skin before buying one. It might take you some time to discover the shade that best suits your skin tone. When highlighting, you should go for a color that’s a shade or two lighter than your foundation. However, go for the opposite when highlighting: pick a shade or two darker. And remember, since you have pale skin, you’re better off avoiding anything with orange in it. Try not to go too heavy with your contour, too. It’ll end up looking too obvious and blotchy. Q: How do you contour pale skin step by step? First, make sure you picked the right color for your skin. Second, use a primer to prepare your face. Primers smoothen your face and help makeup stick to you better and longer. Next, apply a foundation or BB cream as a base. Doing so would balance your whole look. Fourth, look for your face’s natural angles. The worse thing you can do is to draw up and highlight disturbing lines across your face. Hence, find yourself a mirror and shift your face every which way to see where shadows appear: those are your natural angles. Fifth, use a highlighting concealer on parts you want to stand out. Usually, those places would be the middle of your chin, the bridge of your nose, the middle of your forehead, and your brow bones. After that, you are ready to contour your face. Use an angled brush, then start by your forehead to the top of your ear and the hollow of your cheek. For a slimmer nose, put some of the makeup to the sides of your nose, too. Seventh, don’t forget to use a translucent powder to accentuate a crease-free look. Finally, blend. A blending sponge is often the best tool for this; however, you can also use a blush brush. If you’ve been hunting down a good contour kit for pale skin, look no further. These five are some of the best contour kits you’ll find on the market. And the best part is: this list covers every budget. This list includes brands like MAC, NYX, and Kevyn Aucoin. Basically, the crème de la crème of cheekbone chisellers. So, choose one, give it a try, and let these contour kits highlight all of your best features.